Following the continuous attacks on the indigens of Ebonyi State, a Pan Igbo organization “Igbo Patriots” have called on the governor of the state to rise up to the occasion to stop the upcoming pogrom. Your administration has not only been soft, it has welcomed these killing machines with open arms; an action which amounts to playing with fire and expect not to be consumed by it. It’s no longer news that some parts of Nigeria is under siege no thanks to the AK47 marauding Fulani Herdsmen. 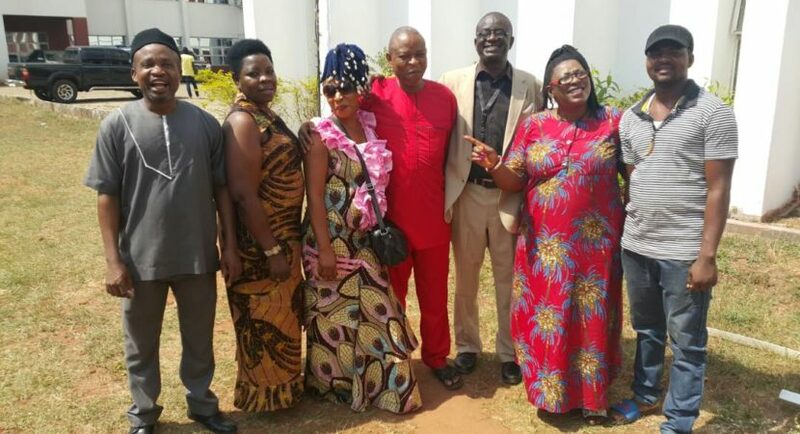 It’s in the light of the nefarious activities of these killers that Igbo Patriots- an Amalgam of Igbo intellectuals took it upon themselves to visit various houses of Assembly in the South East to encourage them to pass anti open grazing and anti Cattle Colony Bills. It’s on record that these blood sucking terrorists that disguises as Herdsmen have struck again in Ebonyi state. 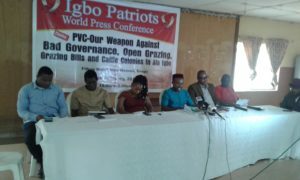 To us at Igbo Patriots, this is an attack “one too many” because this attack is coming weeks after we submitted a letter to Ebonyi State House of Assembly encouraging them to pass the anti grazing and anti Cattle colony bills. His Excellency, we are calling on you to rise up to the occasion and act swiftly to contain these criminal elements. This is the time to not only act, but to act appropriately as mere giving orders or issuing press statements does not work rather gives these terrorists the courage to strike again. His Excellency, just like in the popular American saying “We don’t negotiate with terrorists”, the time for dialogue is over and the law of motion “For every action, there is an equal and opposite reaction” should be applied henceforth. Your administration has not only been soft, it has welcomed these killing machines with open arms; an action which amounts to playing with fire and expect not to be consumed by it. Igbo Patriots will not fold her hands and watch the expansionist armies from the dark world overrun our people. We expect you to tackle this issue accordingly by making anti open grazing law and anti cattle colony law now to avoid future farmers and herdsmen clash. Cattle rearing is a private business. Whoever that invests in it should provide ranch for the cattle. Okezie Ogu & Kelechi Nwagbaraocha,Australia Coordinators. Jack D.I. Igweigbo, Asia Coordinator. Kenny Uzoma, North America Coordinator.